Are the human activity-related factors like deforestation in the Amazon region responsible for drought crisis in Brazil? If yes, to what extent? The present drought crisis in Brazil is very much related to human activities. These activities are often encouraged by the government agencies. With the construction of Transamazon Highway in 1970, the economic activities in Amazon region have boomed. In the last 30 years, Brazil has invested a large sum of money on mining, constructing hydroelectric dams, agro-pastoral activities, settlement projects and infrastructure in Amazon region. This has led to massive deforestation in region. The large and small rangers together with soybean plantation also contributed to deforestation. According to a government agency, there are about 79 dams (small and big) that are being constructed or expected to be constructed in Amazon region occupying about 10 million hectares of forest, that is about two per cent of Brazilian legal Amazon. 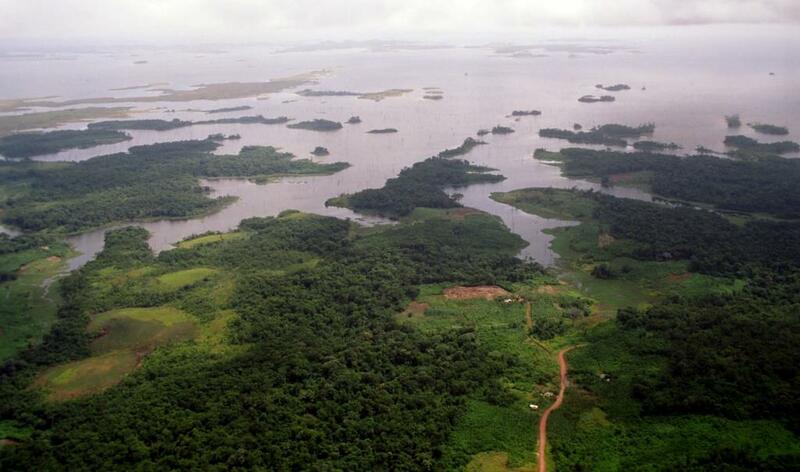 Until 2003, Brazil had lost almost 16 per cent of original forest of Amazon. Many studies show that cutting of trees is hindering the ability of forests to absorb carbon from the air and to pull enough water from earth through tree roots to moisture the air. If these forests are destroyed, it could lead to a drought in whole of Brazil and in other part of the world. Are other countries in Latin America likely to be affected? Could you give some numbers that substantiate the impact of deforestation on weather in the Amazon region? Yes. The deforestation of Amazon can affect the world climate. Scientists have always believed that Amazon forest is the lung of the world. Changes in watershed functions are lost when a forest is used for other purposes like agriculture and pasture. Precipitation in deforested areas quickly runs off, creating flash floods followed by periods of greatly reduced or no stream flow leading to drought. The recent studies made by my team in the northern Brazil show that the frequency of flood and drought is very high in the region affecting the economic activities of the local population. While some numbers say deforestation has come down in past years, certain reports also call it a myth. What do you think as a researcher and an activist? As a researcher, I depend on data from government and non-government agencies that monitor deforestation in Amazon. My personal experience in Amazon forest for the last 23 years has showed me that deforestation has come down in Amazon is a myth. It can be proved by the last year monitoring report of deforestation by non-profit IMAZON that detected 402 square kilometres of deforestation in the Brazilian Amazon in September 2014. That represented an increase of 290 per cent in relation to September 2013 when total deforestation was 103 square kilometres. It was possible to monitor 93 per cent of the forest area in the Brazilian Amazon while in September 2013 monitoring covered a smaller area (79 per cent) of the territory. In September 2014, 624 square kilometers of degraded forests (forests intensely exploited by logging activity and/or burned) were recorded. Are other land use policies and developmental activities also to be held responsible for prevailing crisis? It is not only the deforestation causing the actual water crisis in Brazil. The illegal occupations of riverbeds, industrial pollution, large construction works, and disordered urban occupation also are responsible for the current crisis. Also, the latest forest code approved by the government contributed for the actual crisis, because it reduced the legal reserve area that should be preserved by the settlers on agricultural use. What could be the possible solutions to curtail the problem of illegal logging, deforestation and related problems? Is the government supporting? It is not lack of laws in Brazil to control deforestation. The rules here are very well written, but these laws are not implemented. The lack of personnel for monitoring the region, together with corruption lead to impunity. Very rarely the logging industry or other illegal mining activities are punished. Even though, they are caught, the legal system is very slow leading to prescription of the crimes. A short term solution would be to increase mechanism for monitoring deforestation by implementing real time watch over Amazon by satellites and punishing the offenders severely. Together with these steps, the government should invest more on environmental education in the region. The government should look for an alternative energy plan (green energy) than to invest in hydroelectrical dams in Amazon region.